The Front Of The Hotel. My cousin unpacking the car. Right side of the hotel. How pretty are the flowers? The other side of the hotel which looked exactly the same but I couldn't resist snapping a photo of these beautiful flowers. Stunning water fountain before you actually get to the reception area. Smaller fountain on the other side but it still looked super pretty! Statue just before the reception. Overview of the reception area. This was the best photo I could get so I do apologise for the poor quality. As me and my cousin arrived she told me to take a seat as she checked in and a waiter very kindly bought us over 2 welcome mocktails as we were waiting, It was an elderflower drink and tasted amazing. I was completely amazed by that level of service as it's something I don't get to experience very often. These little stone bowls of flowers were scattered all around the hotel reception and it just looked so pretty. It also smelt amazing as well. The view from our bedroom. How stunning is this? How gorgeous is the bedroom?! So super pretty! Because who doesn't need two sinks! Right? Overview of the bathroom! Those dressing gowns were super duper cosy! Cosy couch that provided as storage for our suitcases for the 2 days. Tv. desk and mini fridge! On the way down to the beach! I took this photo of my mum as she absolutely loves flowers and I know this photo will just make her super duper happy. View from near the boat house where we went over the two days to do different activities. Some of the activities included dolphin spotting, canoeing which me and my cousin were brilliant at. I mean come on now, you have to be pretty darn amazing to continuously go around in circles right? We gave up after like 2 minutes whilst absolutely dying of laughter and then deciding on going in a peddle boat instead. We also decided that we would do some underwater diving to but unfortunately didn't get a chance. We are planning on going back 100%. Below I will include some photos in collages that are on my phone of food and other bits and bobs as well. The first photo shows you the yummy mocktails we were given on arrival. How yummy do they look though? Also can we take time to appreciate the amazing sunset that was going on whilst we were arriving as well?! I couldn't help snapping a photo and despite what it may look like I 100% didn't edit it. I edit all my photos nowadays on vscocam but this one needed no edits at all. It's just so beautiful. 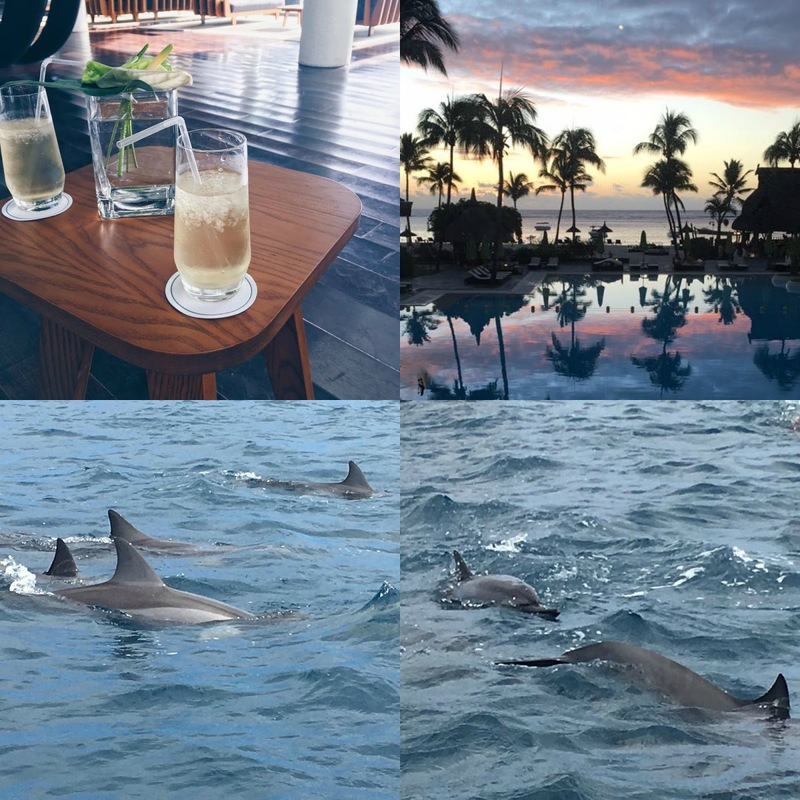 Look how close we were to the dolphins on spotting them?! How amazing is this?! I absolutely love dolphins and I thought this was incredible! I'd highly recommend it if you haven't done that already. I unfortunately didn't swim with them as I personally have mixed views on doing it. Let me know how you feel about this below as I'd love to know your opinions. Can we just take time and appreciate the view from my balcony again please?! How I would love to wake up to that every single day! We also enjoyed chilling by the pool and having cocktails (me anyway, my cousin opted for a beer gross!!). In the last photo a lovely employee of the hotel decided we would look more beautiful with flowers in our hair so he decided to put them behind our ears and then insist on taking photos of us. I do really like this photo though. I especially like how our hats match our clothes. That wasn't planned I promise! The view from the boat was also amazing as were these yummy cocktails. One of which is mango mojito (tastes as good as it looks) and the other one I can't quite remember. The plate of food I have might seem massive but I hadn't eaten all day and I was starving okay? No judging! It's a plate of chicken briyani which is a popular dish in Mauritius and India and it tastes absolutely amazing as well. If you haven't tried it yet I would highly recommend it. This was our final night in the hotel. We wanted to stay an extra night and had already spoken to the staff about extending our trip but when we called my Aunt, (my cousin's Mum) there was already plans put in place for us which we were sad about but understood as it was last minute. 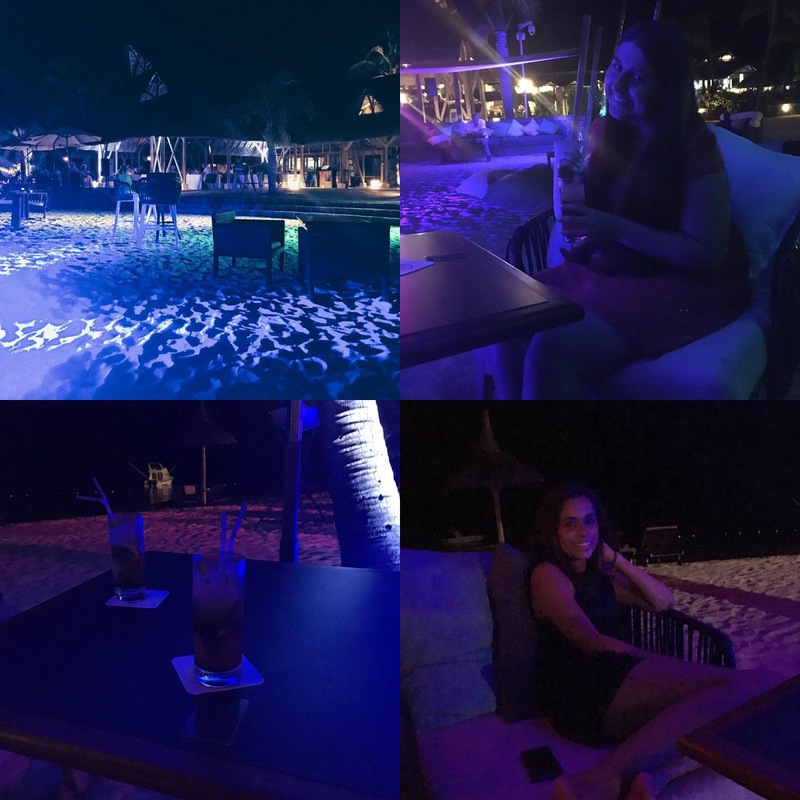 On our last night they had a mini beach party with music playing so we decided to go down and join until the end which was only around 11:30. We had strawberry mojitos which I think is now my favorite drink. It's just incredible. Overall we had such an incredible few days and we were both very sad to leave. 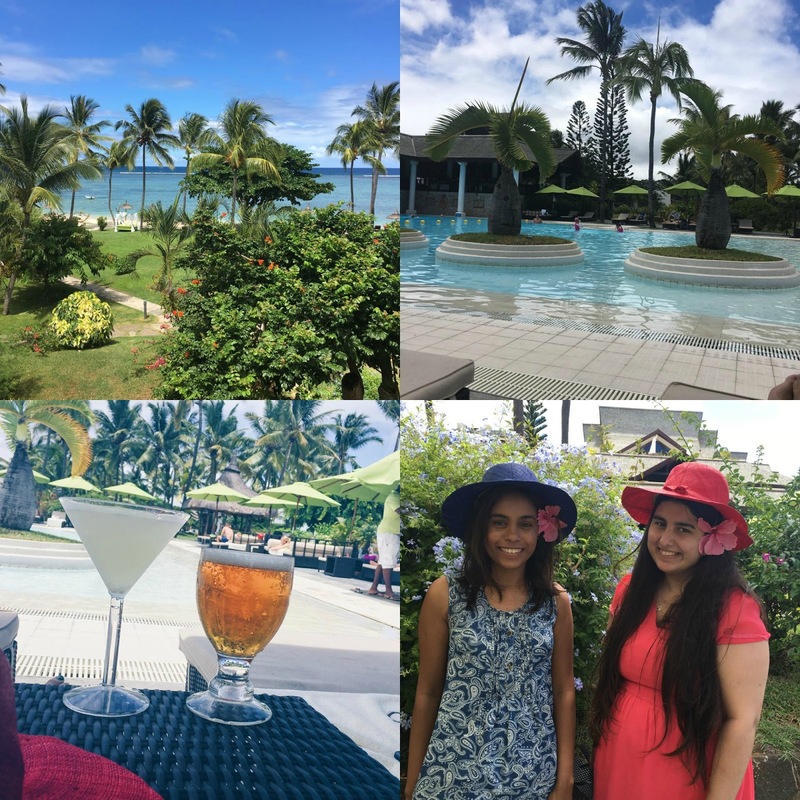 I am returning to Mauritius in June for a friend's wedding however and we are planning another trip here with more of my family plus my brother who will be joining me this time. I am so incredibly excited even though this trip technically hasn't even finished yet ha! If you like the look of this hotel definitely check it out as the prices are pretty fabulous. 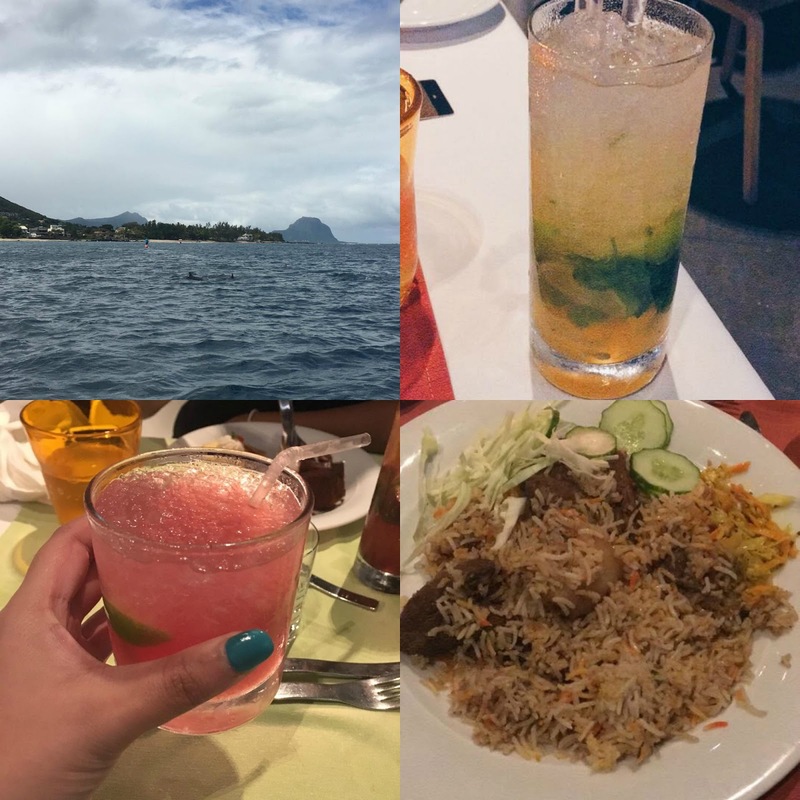 If you have visited Mauritius before let me know where your favorite place to stay was in the comments. Do you like the look and sound of this hotel? It looks so beautiful! I love Sofitel hotels, they're just all so gorgeous and luxurious.